Expired 9mo ago . Last validated 9mo ago . Used 6 times. ida mar I am re-activating this expired deal. 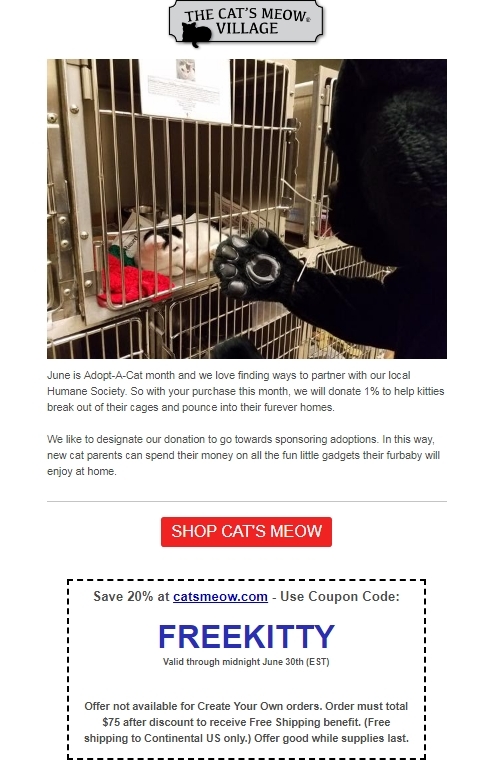 Just enter this code <FREEKITTY> during the checkout process to get 20% off on orders over $75 at The Cat's Meow Village (Site-Wide). Anthony Castro Offer not available for Create Your Own orders. 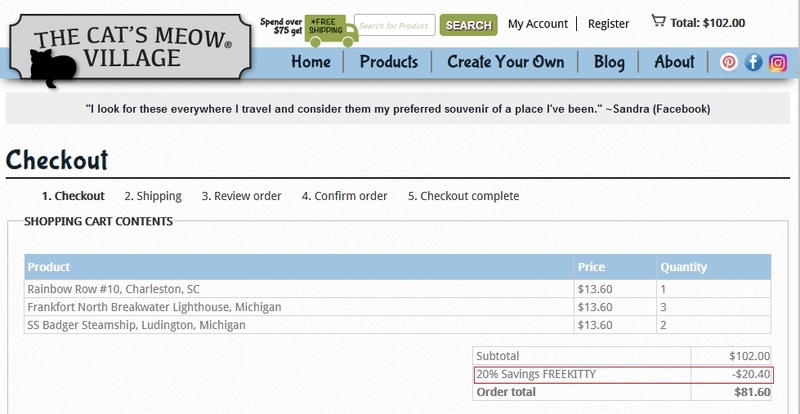 Order must total $75 after discount to receive Free Shipping benefit. (Free shipping to Continental US only.) Offer good while supplies last.